You may have already read the "Safety Articles" Gerry "Rocketman" Lowrey, 3%, In-Country MC,�secured�and posted�for us.� I'm adding the links to those articles here because they will soon slide off the list at the side of the website. 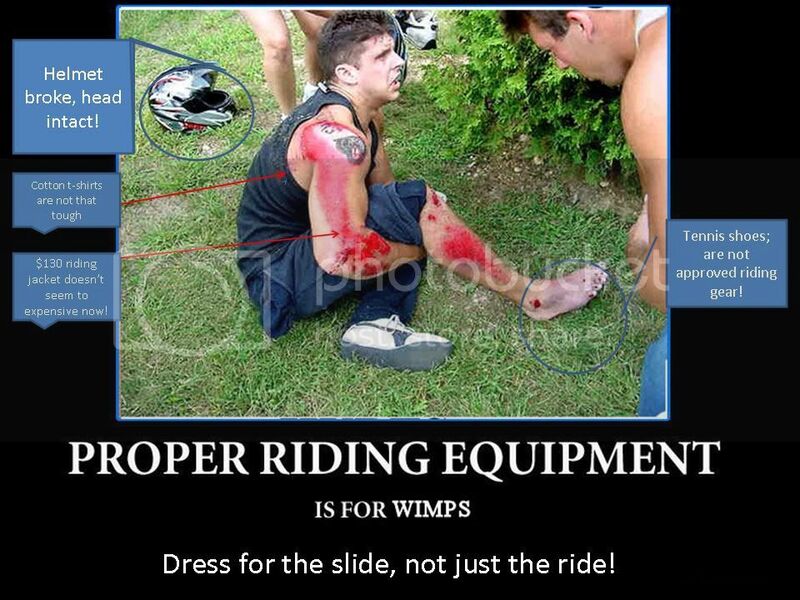 If you haven't read them or don't want to, at least be aware that the summer heat creates great health and safety concerns for us as we ride and stand in flaglines for hours. 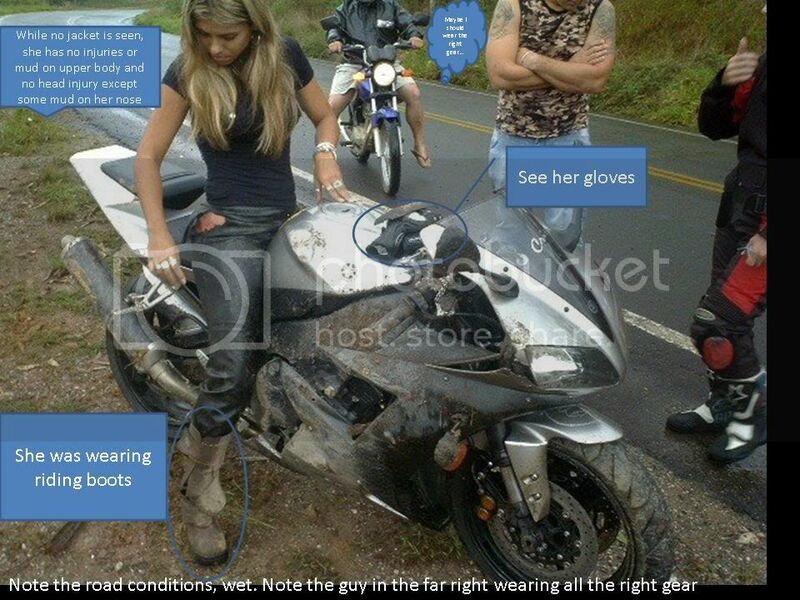 THIS IS IMPORTANT STUFF.� If not for you, then for the lady or gentleman standing next to you in line or riding next to you on the road. THIS may be old, but it is still valid! 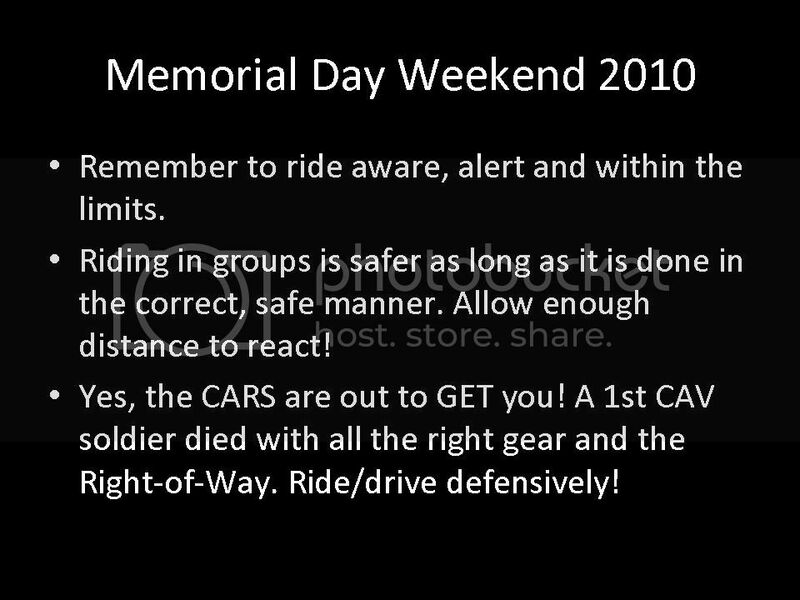 brief I made for the riders in my unit for this long weekend. �With all of the activities that should be happening this weekend (Freedom Rally Run) the more people we encourage to ride safe the more we can save from harm. Thanks for reminding us about the dangers of the weather. Just ribbin ya Mare. I saw that picture the day of the Rally here in Llano and knew right away what the deal was. Dub was "quick on the trigger" that day. Maybe you should consider promoting him to "Official Cen Tex PGR Photographer". Hey now THATS an idear TC! Mare, Taking a break, eh? Seriously now, I'm glad that you recovered. And Dub, thanks for taking that shot.... not just to make fun of Mare, but also as reminder that we do need to be careful and that the heat can get to everyone. And this year it's been lousy hot so far. Nora you're such a cutie-pie!